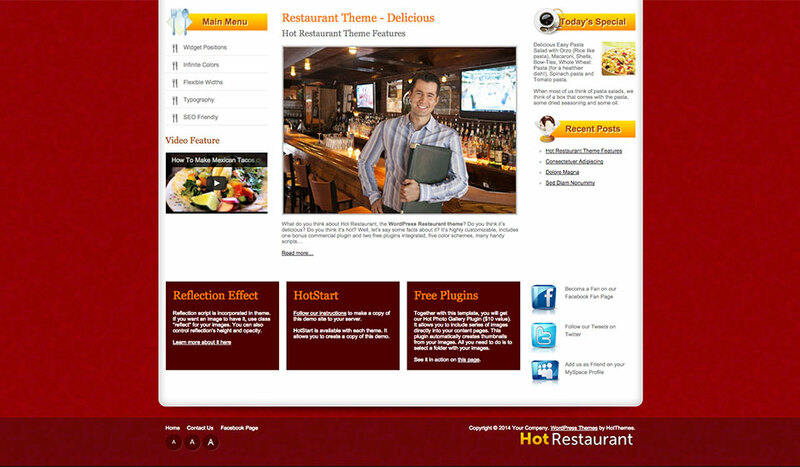 Running a restaurant and desperately need a website for it? You are in the right place! 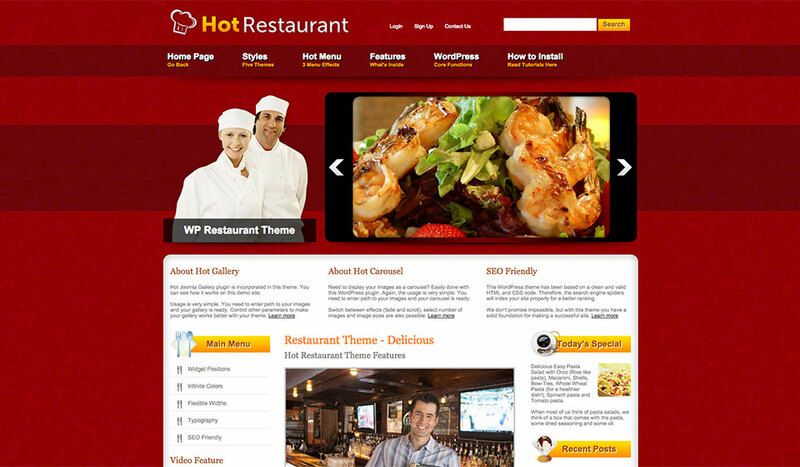 Is there any easier, more convenient and more powerful way to make your own website than making it with WordPress Restaurant theme. Probably not! 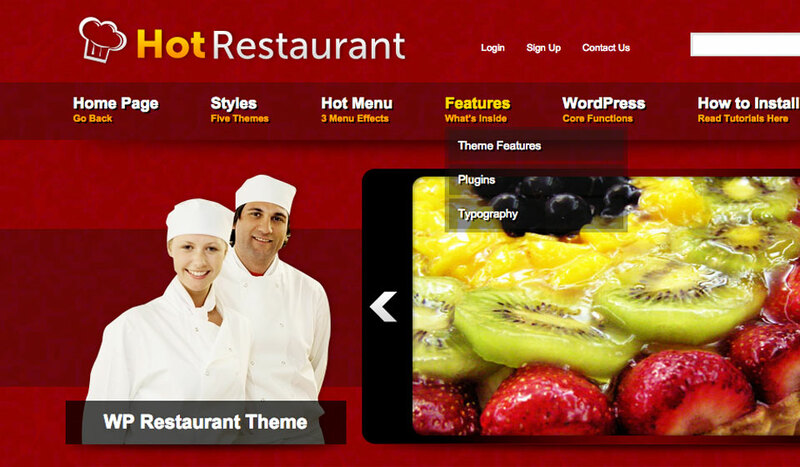 Without an appropriate WordPress Restaurant theme, this task wouldn’t be a piece of cake! That’s why we created the Hot Restaurant. 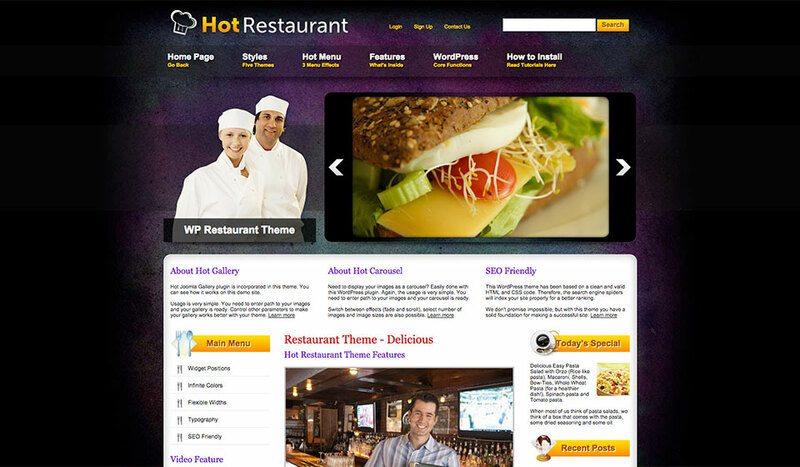 With this theme, making your restaurant’s website based on WordPress won’t be rocket science. 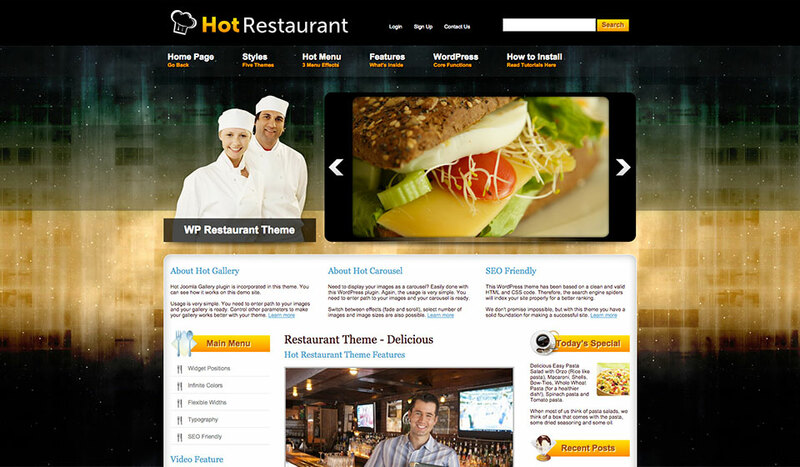 The home page of the WordPress Restaurant theme shows an image of the chefs of the restaurant. You can simply change it with an image of your chef(s). You can also put something else in this place, such as information about discounts or active promotions. By default, this theme has 3 columns. The left and the right columns are reserved for your widgets. 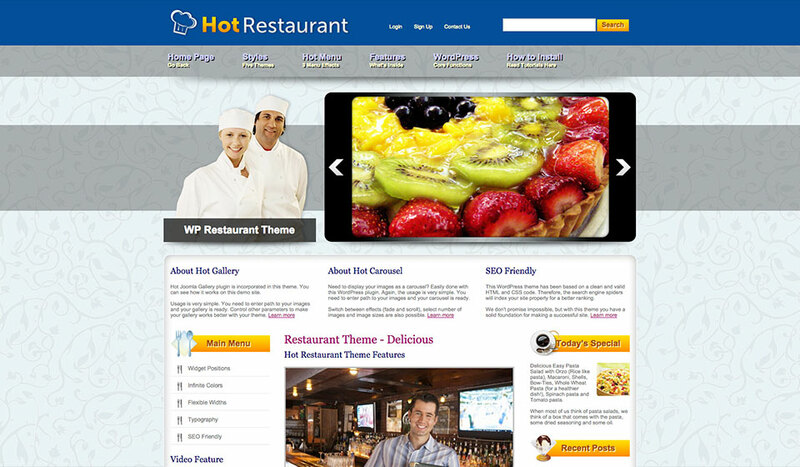 The central column is for main content and widgets below and above it. The widths of all these columns are parametrized and can be changed in the theme parameters. 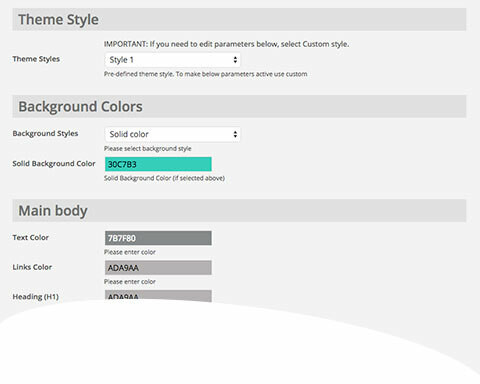 Besides the top menu with drop-down sub-menu items, there’s a column menu designed accordingly to the overall theme design. Last but not least. 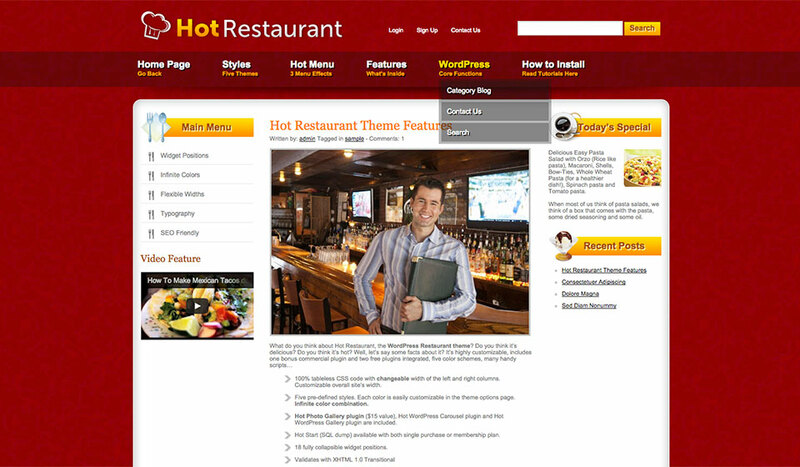 The Hot Effects Rotator plugin included with this WordPress photo theme allows you to make slide shows from your photos with fancy transition effects. 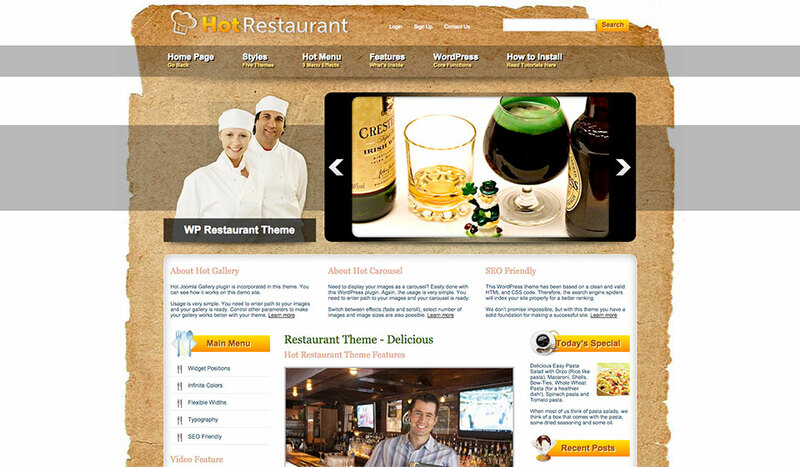 It’s also included with no additional cost and it’s a perfect match with WordPress photo theme. You can check this on our online demo.